Replacement speed sensor for the Cat Eye Wireless computers. 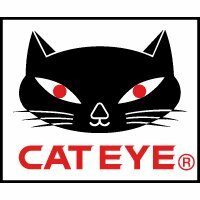 Suitable for Cat Eye Strada, Vectra and Micro Wireless computers. NB - not supplied with wheel magnet or handlebar bracket. These are sold separately. Replacement speed sensor for the following Cat Eye Wireless computers: the Strada, the Vectra and the Micro. Be aware that if you want to set up your second bicycle so you can instantly swap your Cat Eye Wireless computer between bikes, you will also need to purchase a second wheel magnet and a handlebar mount like this.